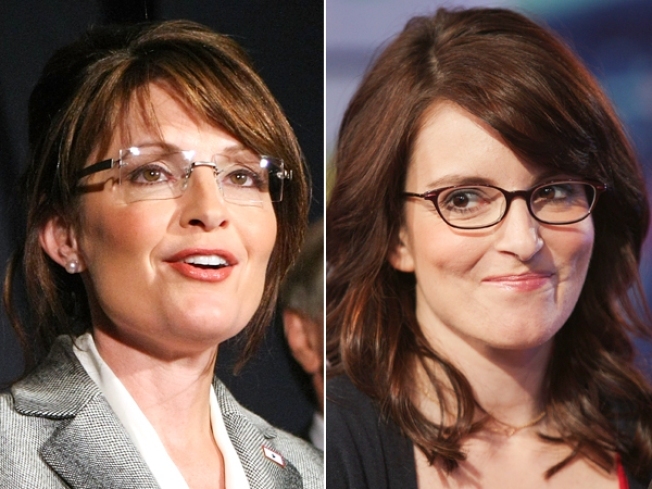 At first, Tina Fey didn't want to play Sarah Palin. She says she feared she'd "stink." It was as obvious as the face she looked at in the mirror every morning, but Tina Fey was the last to note the strong resemblance she bears to Gov. Sarah Palin. And when “Saturday Night Live” executive producer Lorne Michaels called to ask her to play Palin on the show, Fey didn’t want to. “I was really resistant at first,” Fey told TODAY’s Matt Lauer Thursday in New York. Even though she came to realize she really did look like Palin, the Emmy-winning writer, producer and actress had a number of reasons not to take Michaels up on his offer. Fey was on TODAY to plug Thursday night’s season premiere on NBC of “30 Rock,” the critically acclaimed sitcom that she created inspired by her years as the head writer and a performer on “SNL.” But nowadays she can’t go anywhere — even her home network — without talking about her spot-on impersonation of Palin. But playing Palin has raised the wattage of the public spotlight shining on her. She wasn’t complaining. “So far it’s all been just fun stuff,” she said. Fey also cleared up a widely repeated comment she made to TV Guide: that if Palin and McCain win the election, she’s leaving Earth. Fey revealed that she actually liked Palin when they finally met during the candidate’s guest appearance on “SNL.” Fey even thinks the V.P. hopeful has some comedy chops. Another “Rock” guest is “Will & Grace” alumna Megan Mullally, who guest-stars as an adoption agent who must determine whether Fey’s character, Liz Lemon, is qualified to adopt a child. Other guest stars past and future include Steve Martin, Edie Falco, Matthew Broderick, Carrie Fisher, Jennifer Aniston, Meredith Vieira, Al Roker, Jerry Seinfeld, David Schwimmer, Joy Behar, Whoopi Goldberg and Al Gore. “30 Rock” is starting its third season after a second that harvested a record seven Emmys, including Fey’s Best Actress in a Comedy Series trophy. She’s also starred in the movies “Baby Mama,” co-starring fellow “SNL” player Amy Poehler, and “Mean Girls,” which she co-wrote.